We talk a lot about seasonal maintenance, and hopefully your prewinter HVAC service was completed months ago. Whether or not you missed that maintenance, you can take some midwinter precautions to end the season on a warm, wallet-friendly note. 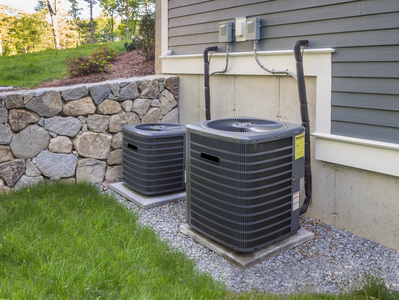 Often, a poor performing HVAC unit is simply struggling to breathe. The harder your unit works to heat or cool a home, the more air that's passing through the filter. January and February are often the coldest months in most areas, which means your heater could be running constantly. Take a few moments to check the status of your filter and wash or replace it as necessary to encourage efficient heating in your home. In the height of cold or heat seasons, the last thing most people want to do is replace HVAC equipment. Waiting until milder weather to make big changes sounds like common sense, but settling for poor heating performance for the rest of the winter makes your entire family uncomfortable and could be increasing your utility costs unnecessarily. Consider upgrading your unit now if necessary and enjoy a cozier home through early spring. Winter homes that never seem completely warm could suffer from draft problems rather than HVAC issues. Caulk and seal all windows appropriately, and consider thermal curtains that keep heat from escaping. Drapes that fit tightly in the window provide the greatest reduction in heat loss. When supplementing electric or gas heat with a wood-burning fire place, damper management is essential. Keep the damper open when burning logs so smoke and debris can escape. Once the fire is out and coals are cool, close the damper until you're ready to use the fireplace again. Leaving the damper open at other times is like leaving a window open, and it lets heat escape your home. Spring is a great time to have your HVAC unit serviced. Not only do you get ready for hotter weather, but a service professional can ensure a hard winter didn't cause damage or strain to your equipment. Start planning in midwinter by scheduling or budgeting for early spring maintenance.